Mark your calendars. 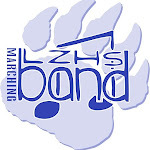 Band camp 2015 is scheduled for August 5-7, 2015 at Carthage College. We want everyone there-schedule your vacation another time if you can! Crazy start to the year!! !